MamaBreak: HOT Coupons: Dole Fruit Cups, Pampers, M&Ms and Dove Chocolate! HOT Coupons: Dole Fruit Cups, Pampers, M&Ms and Dove Chocolate! These are GREAT for school lunches! AND a pretty good deal at Walmart or Target. Regular prices are being reported as $1.98. Use the coupons for great deals! Need baby Wipes? Our favorite deals include using this coupon at a grocery store that doubles or even triples coupons! 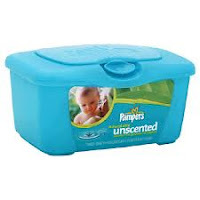 We get Pampers Wipes for around $1.00 that way! Have a baby in the house!? Keep these Pampers Diaper Coupons on hand! We like to try to get jumbo packs for under $8 a piece! I saw some Valentine's M&Ms on clearance. Use this $1.50 on TWO M&Ms Brand Chocolate Candies! Or Print it now and save for Easter clearance! Want MORE deals!? Checkout all the coupons at coupons.com! There are so many great ones, we can't list them all!